A team of scientists from the University of Pittsburgh School of Medicine has created lab-grown human heart tissue that can beat on its own, according to a new study in Nature Communications. In 2008, a University of Minnesota study showed that the original cells from a rat heart could be completely flushed out of the heart's external structure in a process called decellularization, then replaced by newborn rat cells to regenerate a working heart. A similar process has now allowed Pitt scientists to grow working human heart tissue within the decellurized structure of a mouse heart. Using various enzymes and special cleansing detergents, the researchers stripped a mouse heart of all its cells to create a scaffold for induced pluripotent stem cells (iPS cells), adult human cells that are reprogrammed to act like embryonic cells. They treated the iPS cells taken from a skin biopsy to become multipotential cardiovascular progenitor (MCP) cells, the precursor cells that can become any of the three types of cells found in the heart. "Nobody has tried using these MCPs for heart regeneration before," said Lei Yang, an assistant professor of developmental biology at Pitt. After a period of a few weeks, the human cells had repopulated the mouse heart, and it began beating at a rate of 40 to 50 beats per minute. That's a little slow, though not by much. A typical resting heart rate for an an adult is between 60 and 80 bpm, though anything above 50 bpm is still considered normal. This could eventually lead to personalized organ transplants, or even just a great way to study in the lab the way they human heart develops or how it responds to drugs. 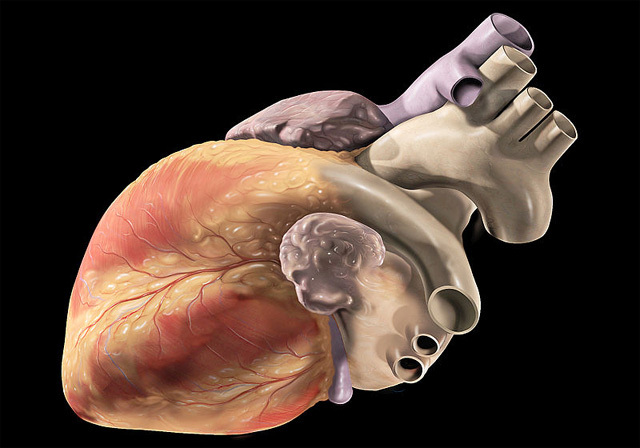 Next, Yang wants to try to make just a patch of human heart tissue, which could be used to replace only regions of the heart that have been damaged by something like a heart attack. He told PopularScience.com via email that he hopes to test heart tissue patches in animals within the next few years. The study came out in the Aug. 13 issue of Nature Communications.